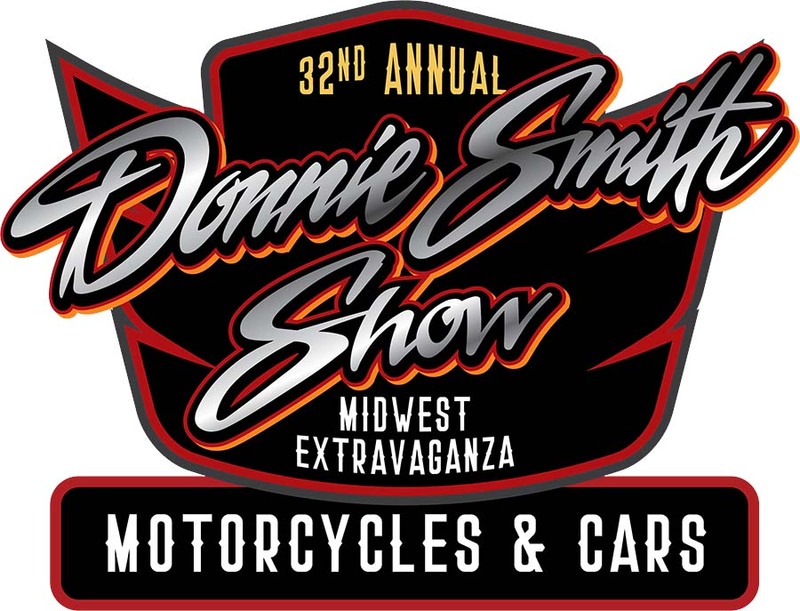 Gear heads and riders will soon be coming out of hibernation to gather and meet fellow enthusiasts and friends at the 32nd Annual Donnie Smith Bike & Car Show presented by Dennis Kirk. In addition to motorcycles, cars and the largest parts swap in the Midwest, the event includes thrilling Indoor Flat Track Racing. The Donnie Smith Show will take place at the St. Paul RiverCentre in St. Paul from 9 a.m. to 7 p.m. Saturday, March 23 and 10 a.m. to 5 p.m. Sunday, March 24. The “War of the Twins II” Indoor Flat Track Racing will kick off the moto extravaganza on Friday, March 22. Doors open at 3 p.m. and the Main Event runs from 7 to 10 p.m. in the Lee & Rose Warner Coliseum. Tickets may be purchased in advance online or at the door. More information can be found at DonnieSmithBikeShow.com. “War of the Twins II” Indoor Flat Track Racing will kick start the weekend with races on Friday, March 22 at the Lee and Rose Warner Coliseum at the St. Paul Fairgrounds. 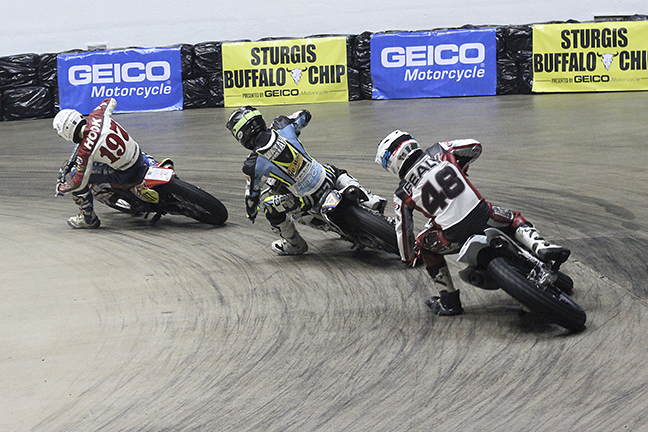 Get sideways with your friends for some fast laps and exciting indoor flat track racing action. It’s real motorcycle racing with all of the danger and spills, fast fun for spectators of all ages. All seats are assigned. More info at indoorflattrack.com. The show’s activities offer the opportunity to hang out and learn from specialists, see the latest in moto inventions and customizations, hunt for parts, shop and win prizes throughout the 225,000 sq. ft. indoor event space. Bikers will have the opportunity to discuss the best parts options with Dennis Kirk representatives who will be on hand to answer questions. The Dennis Kirk prize wheel will also be back with bigger and better prizes. Also, a $250 gift certificate for Dennis Kirk given away on March 24 to those who register to win online at https://bit.ly/2T6DiWD prior to the show. Riders will be able to get information about the annual Patriot Ride that benefits Minnesota’s active and veteran military and law enforcement organizations. Attendees can purchase a $10 raffle ticket to win a 2019 FLTRXS Harley Road Glide Special in support of the Patriot Ride. Pork Chop, one of the most popular biker blues acts in the Midwest, will be performing live for beer-thirty Happy Hour presented by Budweiser 5 p.m. to 7 p.m. on Saturday, March 23. The Sturgis Buffalo Chip will be answering attendees’ questions about their nine-day motorcycle and music festival and getting them signed up to win two dream machines they’ll be giving away on the Chip’s main stage during the event. The custom Harley-Davidson Street Rod and Indian Scout Sixty up for grabs in the Buffalo Chip’s 2019 Moto Stampede Bike Giveaway will be on display in the Buffalo Chip booth, giving show goers the chance to get an up-close look before having the chance to win one. State Farm has created an immersive motorcycle experience centered around Route 66 for their Donnie Smith Show Display. Attendees are invited to experience a one-of-a-kind VR motorcycle tour of the famous highway, a touchscreen hot-spot locator, and a custom sign-making station where they can print their name on a street sign. Metzeler, the official motorcycle tire of the Donnie Smith Bike & Car Show, is giving away one set of their new Cruistec tires. CRUISETEC™ was developed to take full advantage of the performance potential of both the latest models and the most dated bikes. Visit https://www.buffalochip.com/EVENTS/FAMILY-OF-EVENTS/Donnie-Smith-Show-Newsletter-Sign-Up by 5 p.m. on March 22 to enter to win and then visit Metzeler at the Show to get a look at the CRUISETEC tires. The purchase of an Early Bird Pass for just $20 provides early entry into the largest swap meet in the Midwest. Those interested in getting first dibs on more than an acre of parts and accessories will want the extra hour before the show opens to the public. The best deals and coolest parts will be the first to go. Tickets for the Donnie Smith Bike & Car Show are on sale at the RiverCentre Box Office, all Ticketmaster locations, charge by phone at 800-745-3000 or online at www.ticketmaster.com. Adults are $15 and children under the age of 12 are admitted free. The Donnie Smith Bike & Car Show is sponsored by Dennis Kirk, State Farm Insurance, Sturgis Buffalo Chip, Lucas Oil, Russ Brown Motorcycle Attorneys, Budweiser and Metzeler. Tickets for the “War of the Twins II” Indoor Flat Track Racing can be purchased at www.IndoorFlatTrack.com. All seating is assigned with box seating VIP tickets available for $21 and general auditorium adult seating for $15. The first 500 children under 12, accompanying an adult, will be admitted free. “War of the Twins II” Indoor Flat Track Racing is sponsored by the Sturgis Buffalo Chip, Lucas Oil, Russ Brown Motorcycle Attorneys and S&S Cycle.